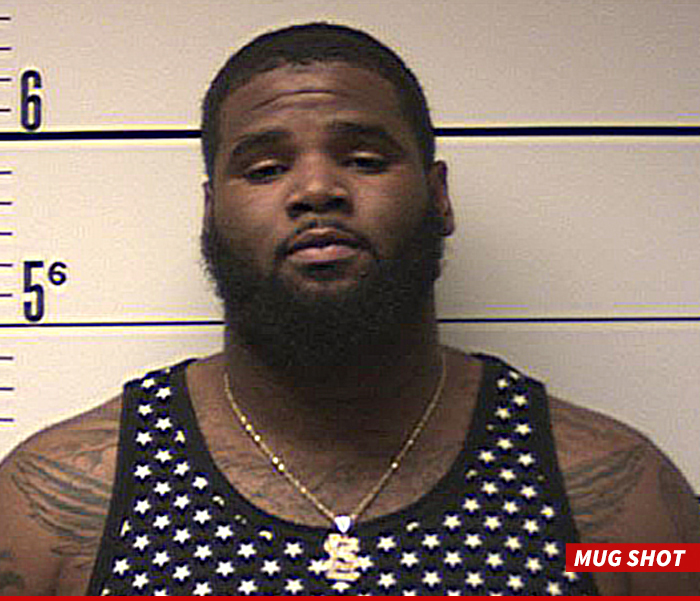 Here's Sheldon Richardson's mug shot ... taken moments after the NY Jets star was arrested for allegedly racing his Bentley over 140 mph with a gun in the car. As we previously reported, Richardson was busted near his home in St. Louis on July 14th ... after cops say he was burning rubber in his Bentley -- with a 12-year-old kid in the car. Richardson was taken to a nearby station -- where he was booked and posed for a mug shot ... wearing a tank top and a gold chain. Richardson was charged with resisting arrest, failing to display lighted lamps on motor vehicle, excessive speeding, failing to obey traffic control device and following too closely.